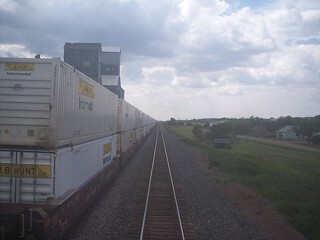 Passing a freight train in Oswego. 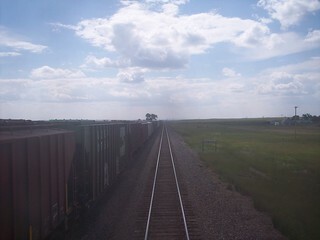 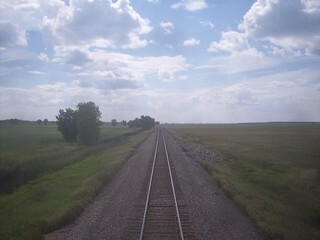 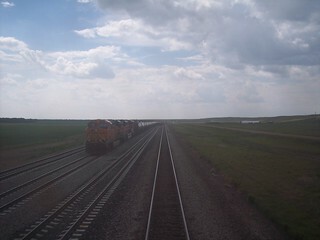 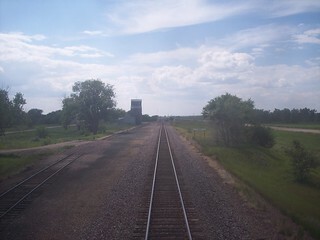 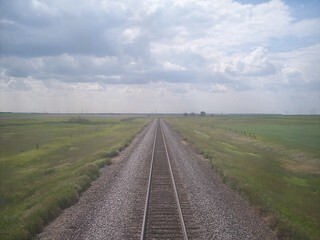 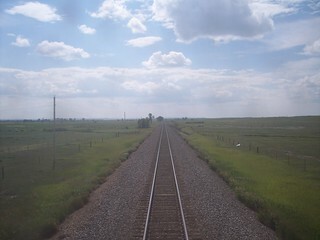 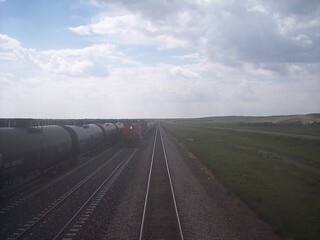 Long straight flat tracks between Oswego and Frazer. 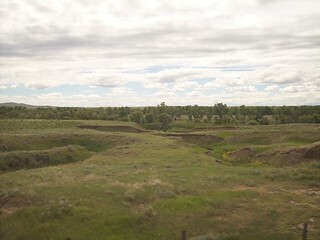 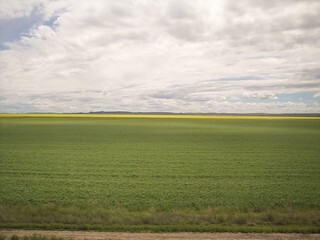 We see the Milk River from the Empire Builder. 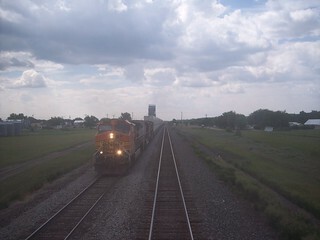 Passing a BNSF freight in Nashua.